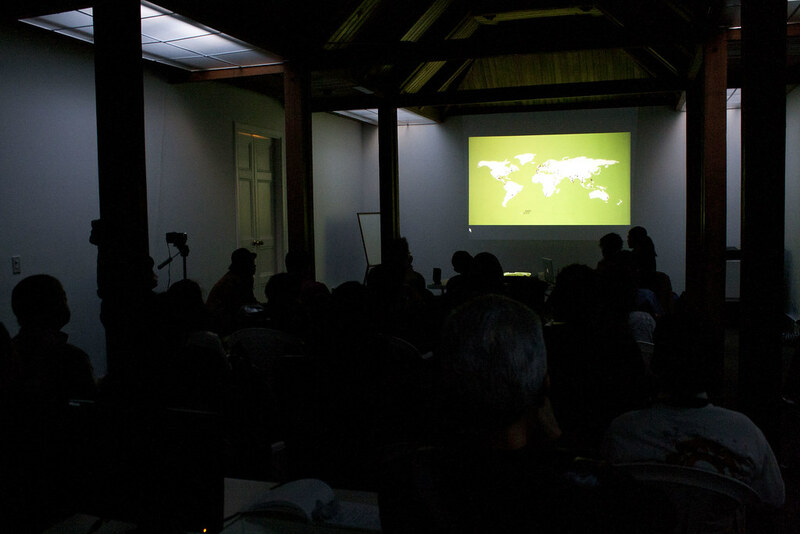 In Bogotá (Colombia) La Loma was offered the opportunity to present its approach towards the visualization of information from a creative point of view. One of the occasions was given by the Plataforma Bogotá, who opened up the doors to their laboratory of interactive art, science and technique. Thanks to the invitation of Andrés Garcia La Rota and the coordination of Laura Criollo, La Loma could introduce itself to an interested audience. At this place, which is dedicate above all to a critical reflection on the digital culture, La Loma held its first public conference. Furthermore it was of great interest for La Loma to follow the invitation of professor Carlos Francisco Pabón and present itself to his students of the subject “Design and graphic Orientation” at the university Jorge Tadeo Lozano. Diego Mauricio Fino Garzón, who also attended the class, published an article on the conference titled “Information visualization: between aesthetic and structure” at Infotecarios.com (in spanish).